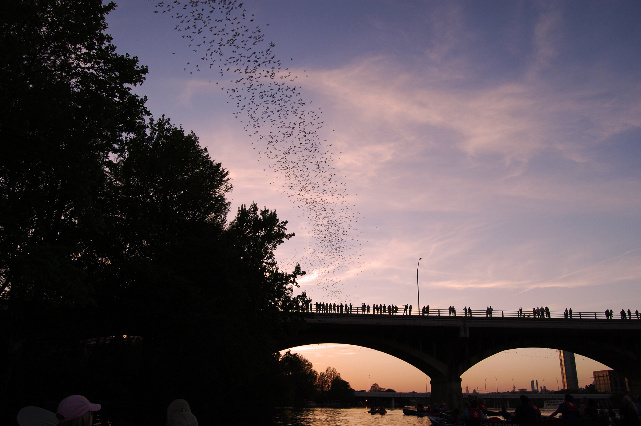 The Ann W. Richards Congress Avenue Bridge, located in the heart of downtown Austin, hosts the largest urban bat colony in the world, estimated at 1.5 million bats. It is a maternity colony, and female Mexican free-tailed bats raise an estimated 750,000 pups each year at the bridge. 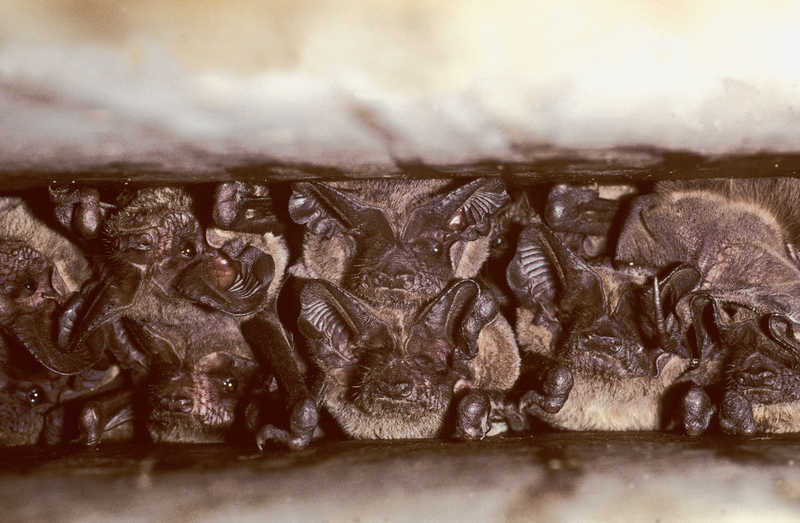 Large numbers of bats began roosting in the Congress Avenue Bridge in the early 1980s, shortly after it was renovated. Few people understood how valuable the bats were, and many feared them. It took a lot of effort by Bat Conservation International and other bat-friendly folks to help turn the tide of public opinion. 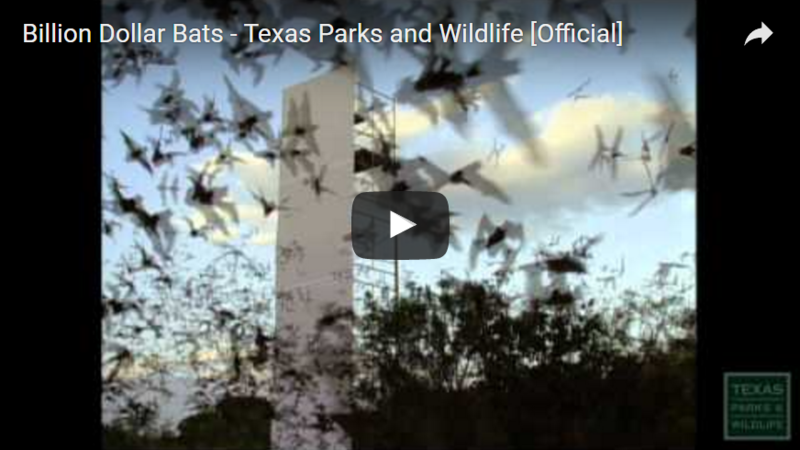 Today, Austin loves its bats, and this international tourist attraction brings 140,000 people and as much as $10 million to Austin every year! Watch from the lawn of the Austin American-Statesman’s Bat Observation Area, which offers educational kiosks year-round and volunteer bat educators from Bat Conservation International on weekend evenings from May through September. You can also get nice views of the long columns of emerging bats from atop the bridge itself. Boat tours are available from Lone Star Riverboats and Capital Cruises. Viewing is free from the Austin American-Statesman’s Bat Observation Area on the southeast side of Congress Avenue. However, there is a fee for parking in the lot near the viewing area — see www.statesman.com/Austin-Bat-FAQs for details. Bat cruise fees range from $5 to $10. Reservations not needed for free viewing. To reserve space on a bat cruise see contact information below. 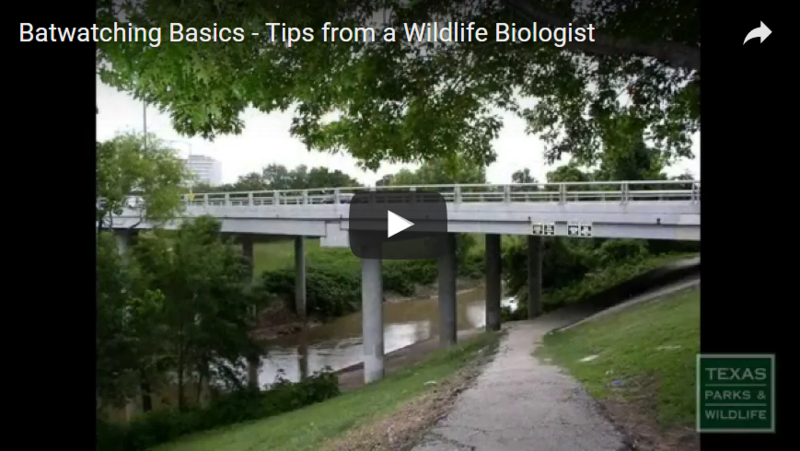 Austin American-Statesman’s Bat Observation Area is open year-round and BCI volunteer interpreters are available to answer questions on one or two weekend evenings from May through September. Please see www.batcon.org/congress for details. Boat viewing seven nights a week from March through October. 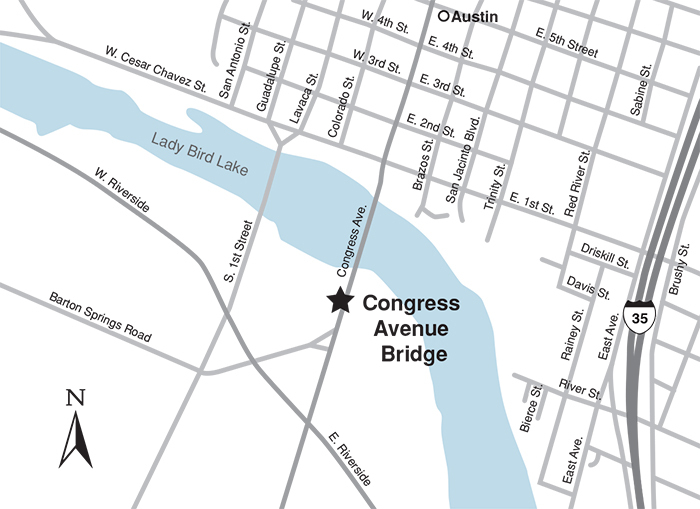 From IH-35 in Austin where the Colorado River crosses IH-35, take Riverside Drive west 0.8 mile to Congress Avenue and turn north. 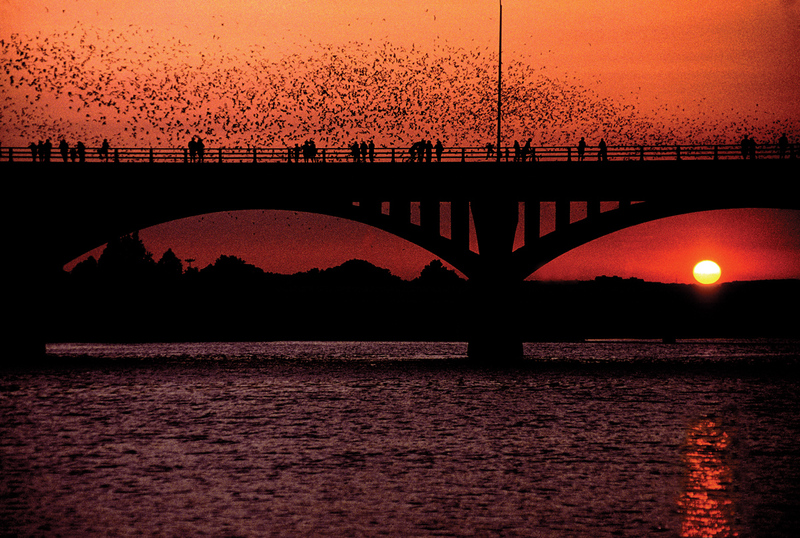 The bat colony bridge spans Lady Bird Lake (the Colorado River). Occasionally bats make their way into buildings, and a single bat will usually leave on its own with a little help from you. If a colony of bats moves into an attic or other space in a structure, there are humane ways to exclude them. Guidelines can be found on Bat Conservation International’s website at www.batcon.org/buildings.